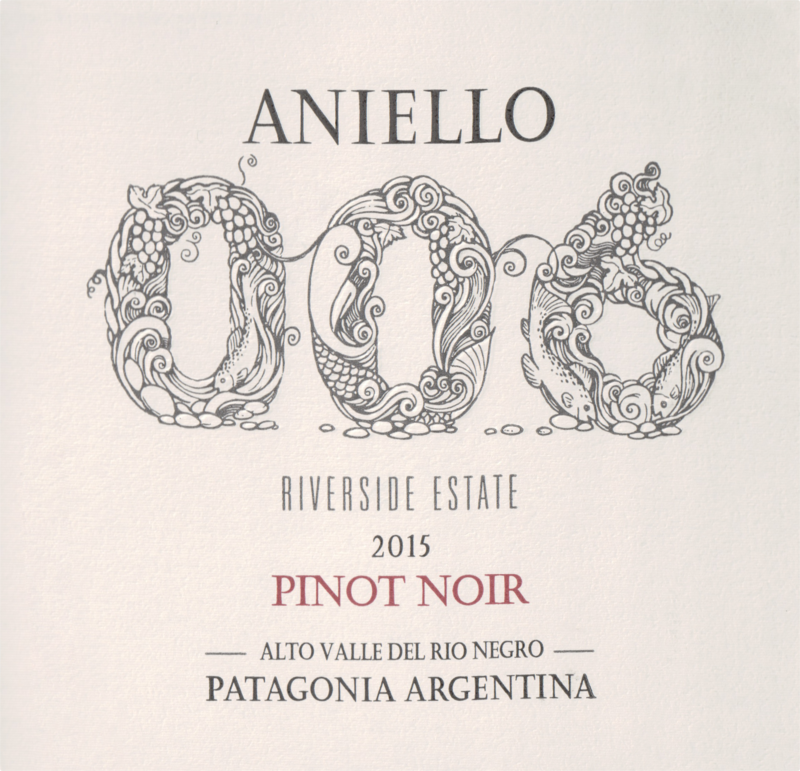 "A pinot with precision and beauty with strawberry, lemon and mango aromas and flavors. Hints of fresh tea. Medium to full body, fine tannins and a fresh finish. Drink now." 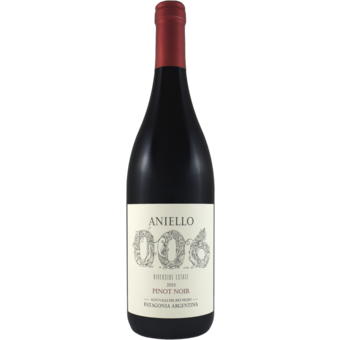 "Bodega Aniello '006' Pinot Noir is made with 100% estate-owned, sustainably-farmed grapes. The name 006 derives from the cadastral nomenclature of the estate: one of the few vineyards in Argentina (if not the only) located next to an actual flowing river. Indeed, the image on the label depicts all of the elements of the varied alluvial-type soils that characterize the vineyard.